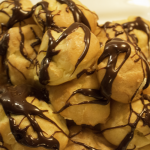 These delicious cream-filled chocolate covered gluten free profiteroles are a proper treat and the best bit is you won’t be able to tell they are gluten free, they are also surprisingly easy to make. Turn off the heat and add the flour, stirring until it forms a soft dough. Using a teaspoon, spoon the mixture onto a greased baking tray. 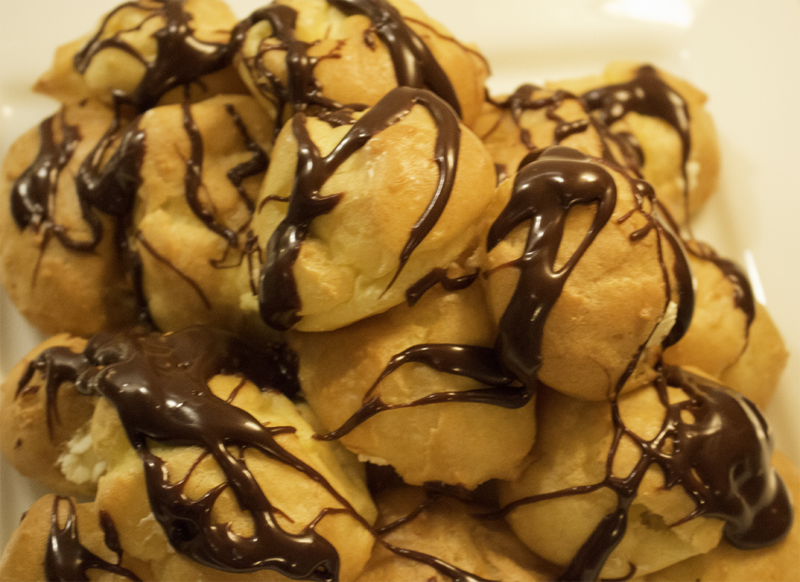 A heaped teaspoon will make a perfect size profiterole. Melt the chocolate in a microwavable bowl for 20 seconds, if not melted sufficiently, cook for another 10 seconds and repeat until the chocolate is smooth and fairly runny.